Find College Park, GA Condos for sale. View Photos, Maps and MLS Data Now! Community Offers An Olympic Sized Pool, Clubhouse, And Tennis Courts. Send All Offers! Ez Show. MLS#6541336. Coldwell Banker Residential Brokerage. Sold 'As Is' Info Deemed Reliable, But Not Guaranteed. MLS#6541424. Century 21 Intown. 3 Comfortable Rooms And 2 Full Bathrooms. Home Warranty Included. 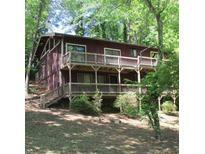 MLS#6541779. Keller Williams Realty Atl North. Convenient To 85/Airport. Perfect For Owner/Investor Or Rehab. MLS#6540981. Realty Associates Of Atlanta, Llc.. Recently Painted Inside And Ready For Move In! MLS#6540022. Berkshire Hathaway Homeservices Georgia Properties. 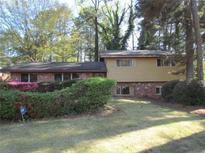 Historic College Park - Hardwoods, Tile And Carpet With Updated Kitchen And Baths. MLS#6539521. Keller Williams Realty Atl Part. 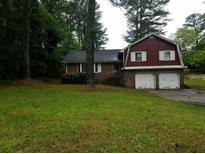 Potential Plus Here With A Professionally Landscaped Yard With A Deep Private Wooded Backyard. Inspect,Compare & Price For Area! MLS#6539721. Atlanta Communities. 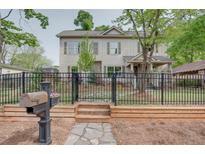 Historic College Park - Private Backyard With Raised Garden, Incredible Storage Space And Large Deck For Entertaining. MLS#6538527. Red Door Realty Group Corp..
Magnolia Walk - Convenient To I-85, The Airport, Shopping, And More. MLS#6524424. Keller Williams Realty Metro Atl. Historic College Park - Convenient To I-85/I-75 And Mere Minutes From Hartsfield-Jackson Airport. MLS#6538964. Keller Williams Realty Intown Atl. Atlanta Is Running Out Of Land, So Act Fast! MLS#6537488. Coldwell Banker Residential Brokerage. This Is The Sharpest Looking Home On The Street...Show And Sell Today! MLS#6535517. Heritage Oaks Realty, Llc. Property Sold As-Is. No Seller Disclosure. MLS#6535808. Solid Source Realty Ga, Llc.. Perfect Features To Get Nice And Cozy. MLS#6535869. Rcm National Realty. One Owner And Home Is Immaculate! Don'T Miss Out. MLS#6534327. Mark Spain Real Estate. 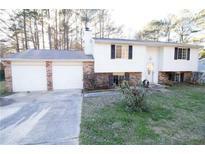 Great Location With Easy Interstate Access And Close To Camp Creek Marketplace! Show And Sell! ! MLS#6534185. Bhgre Metro Brokers. This Is It. Don'T Wait. Make An Offer. MLS#6534267. Keller Williams Atlanta Classic. Can Close In As Soon As (8 Days) MLS#6531930. Keller Williams Atlanta Classic. A Home You Would Like To Call Yours. MLS#6531899. 33 Realty Group, Llc..
Nice Sized Family Room Opens To Dining And Kitchen Area. A Must See! ! 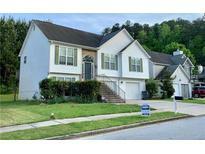 MLS#6528980. Nation One Realty Group, Inc..